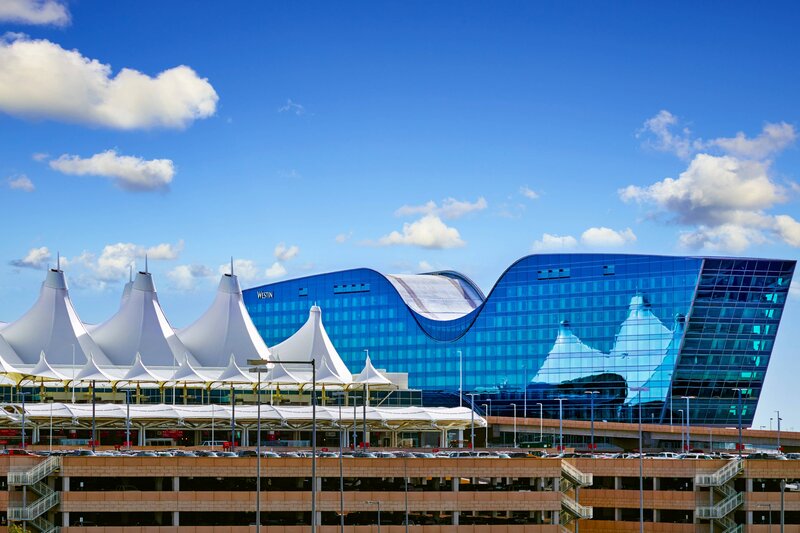 Our direct connection to Denver International Airport ensures a seamless arrival and departure, plus links guests to the commuter rail line to downtown Denver&apos;s array of attractions. 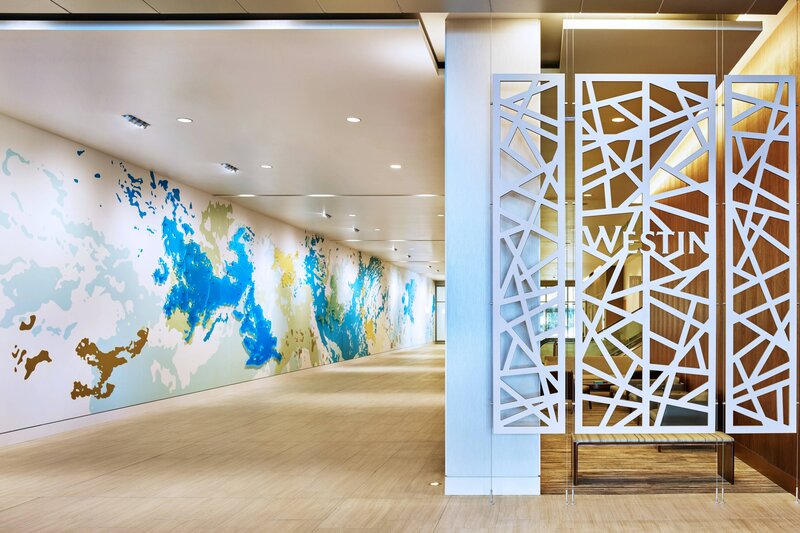 Take a self-paced tour of the striking artwork by Colorado artists—such as Mindy Bray, Wopo Holup, Heather Patterson, and more—displayed throughout the hotel. Sit down to an inventive farm-to-table menu with plenty of light, healthy options at our sophisticated all-day dining restaurant, Grill & Vine. Fuel up for the day at Ingredients, our grab-and-go cafe featuring Starbucks® coffee, pastries and light bites. 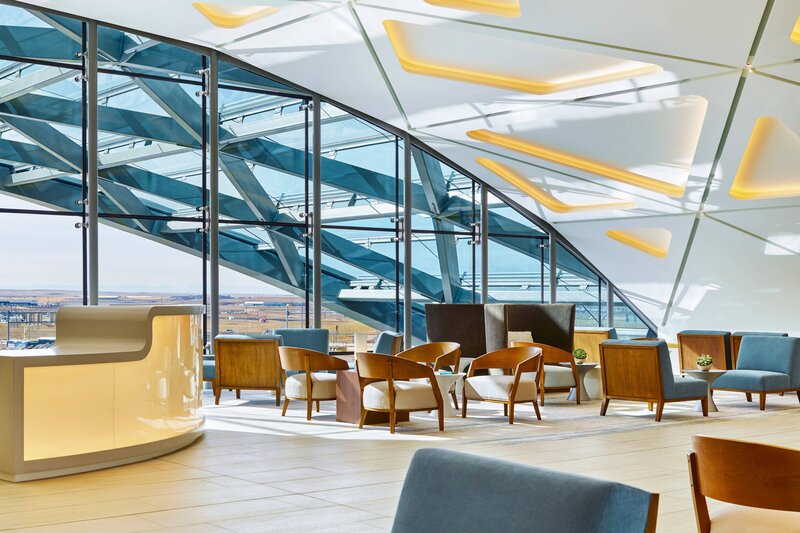 Or unwind over a crafted specialty cocktail in the stunningly modern Sky Lounge. Sink into plush Heavenly® Beds and indulge in signature Heavenly® Bath products in our 519 guest rooms and suites, designed to restore you to your best self. 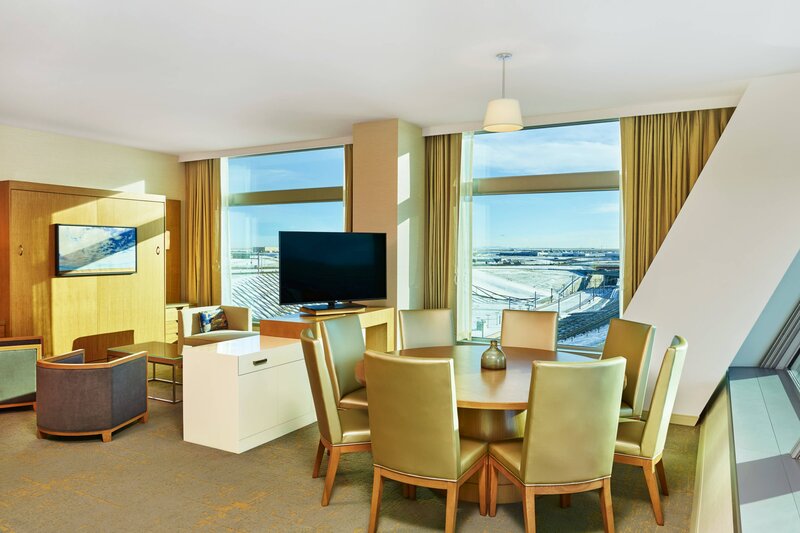 Our hotel is directly connected to Denver&apos;s Commuter Rail, providing access to Union Station in less than 40 minutes. 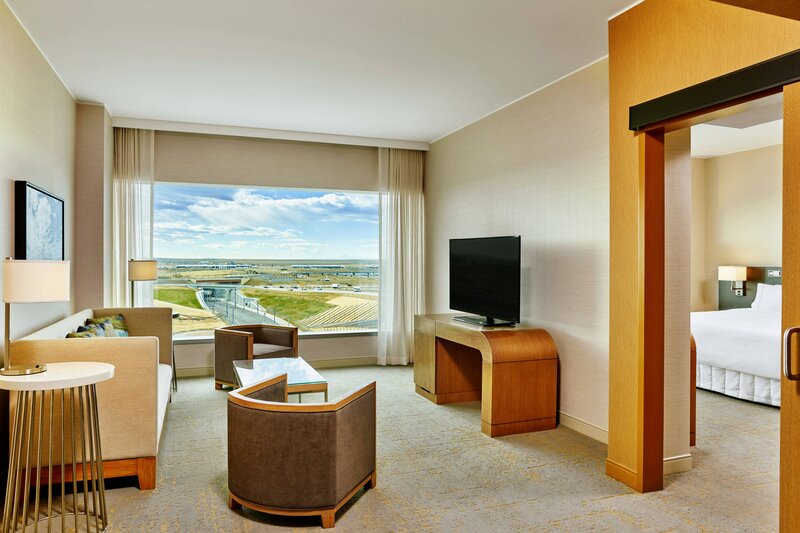 Explore top attractions in the Mile-High City, enjoy outdoor activities like hiking and biking, indulge in excellent dining, shop until you drop and don&apos;t miss out on special events and concerts.